In its fight for data protection, Google has introduced a new encryption solution across its massive list of Android-powered devices. This encryption will also cut across to low-end Android devices that do not support encryption. Adiantum, the new encryption from the tech giant, is specifically designed for phones with low processing power and with little or no Advanced Encryption Standard (AES) for security. Google disclosed that Adiantum typically works by encrypting local data on the low-end devices without necessary reducing the system’s speed or increasing its market value because of the additional hardware. The tech giant combined existing hashing functions and standards into creating more efficient encryption hardware that will run smoothly on the low-end phones. It also announced that Adiantum uses the impressive ChaCha stream cipher in a length-preserving mode. 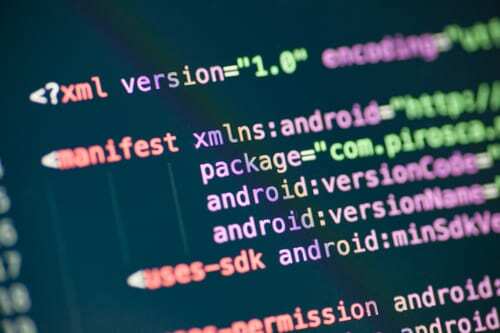 Eric Biggers and Paul Crowley, experts from the Android Security and Privacy Team expressed high assurance on the efficiency of the new encryption, which was fully expressed in a published whitepaper. They both noted that device manufacturers, in their quest to release cost-effective devices, opt for low processors like ARM Cortex-A7 which do not have the required support for AES. This, they explained, is the cause of poor user experience with apps taking a long time to launch. They revealed that while storage encryption is a necessity for phones running on Android 6.0, devices with less AES were exempted. Therefore, the need to beef up encryption for everyone and every device was established. The Adiantum encryption on 4096-byte is 5 times faster than the AES-256-XTS. The hardware hashes an entire plaintext using a keyed hash that is based on Poly1305 and a keyed hashing function called NH. When the encryption is completed, the data gets hashed again. It is further revealed that the data will be arranged in a configuration known as a Feistel network. It is now up to manufacturers to implement the Adiantum encryption on existing low-end and widely used devices.